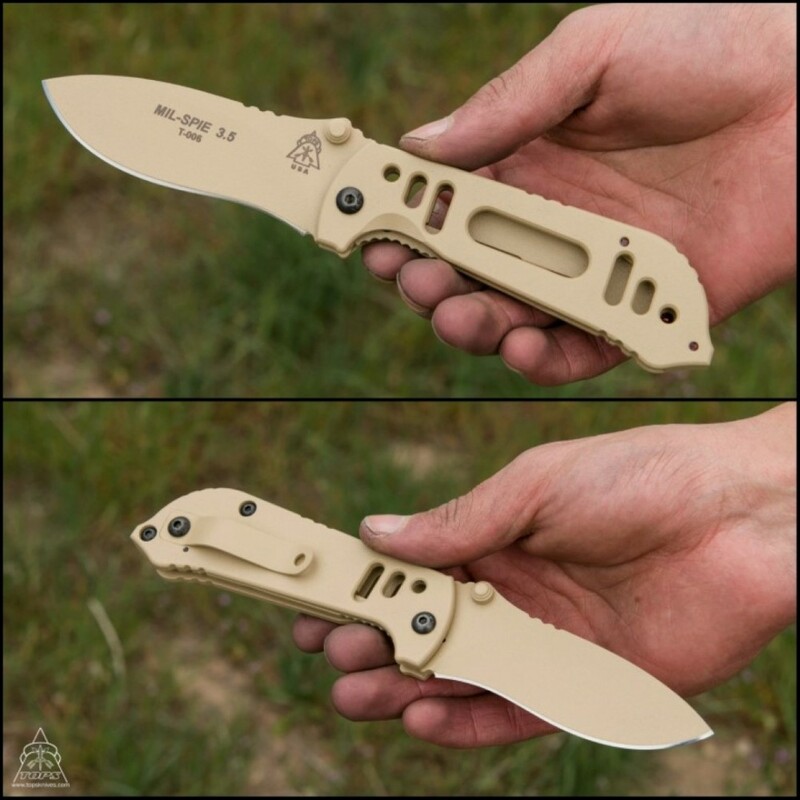 TOPS Knives is often approached by individual Operators who advise us of their ideas and the criteria that need to be met for their Unit or Team. This particular challenge was to develop a small knife with a fairly narrow carrying profile, and it had to be strong and light in weight. 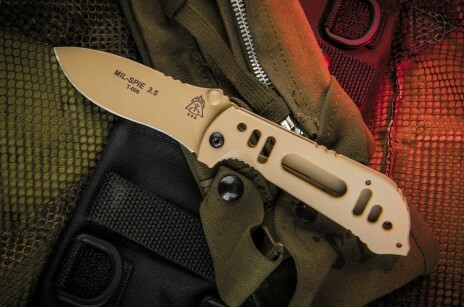 With these criteria in mind, we created and named the Mil-SPIE Knives. 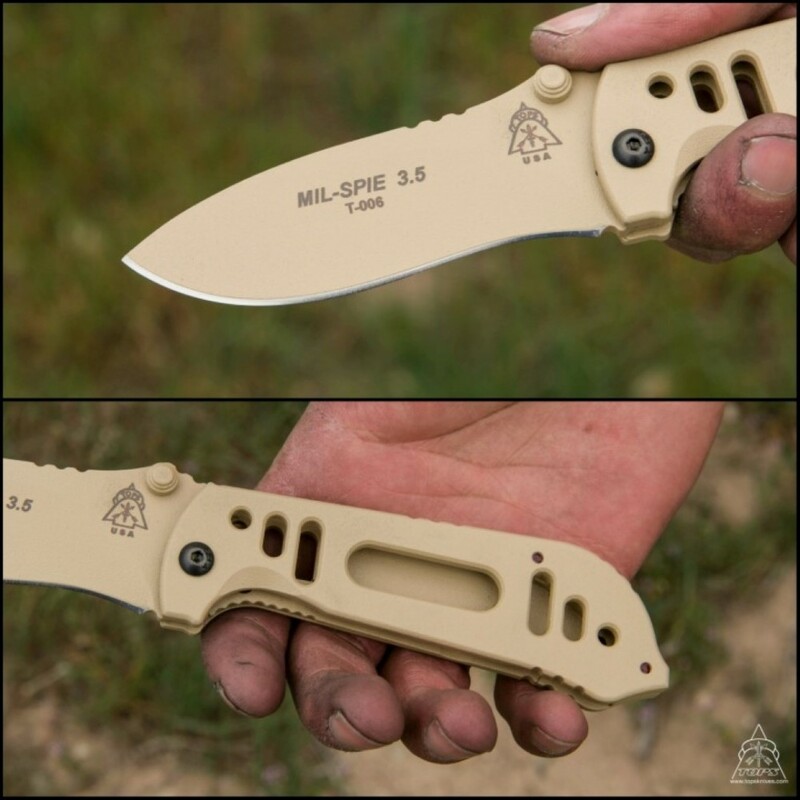 Our Mil-Spie 3.5 folder has been very popular due to its solid construction and TOPS quality. 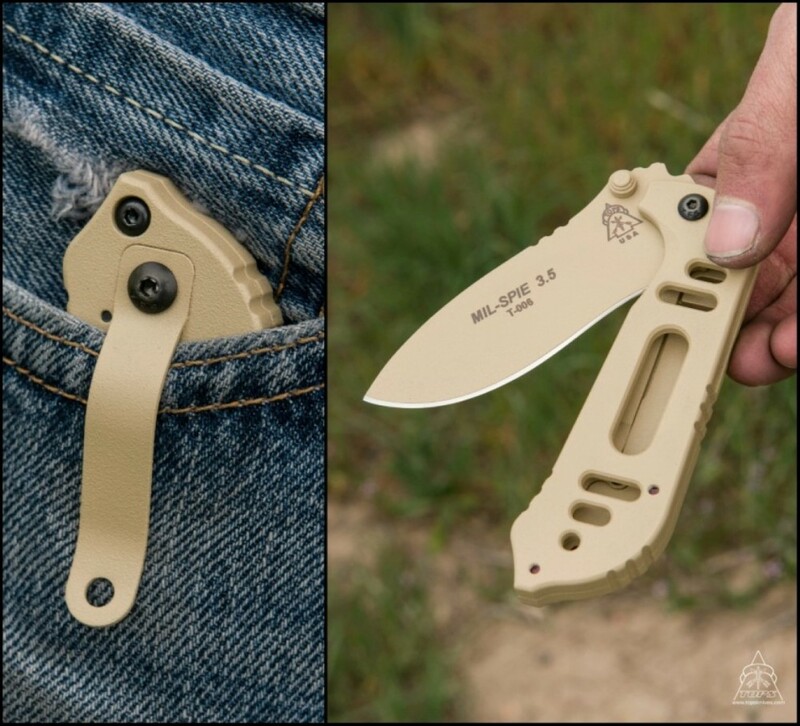 This is a go-to-it EDC folder. 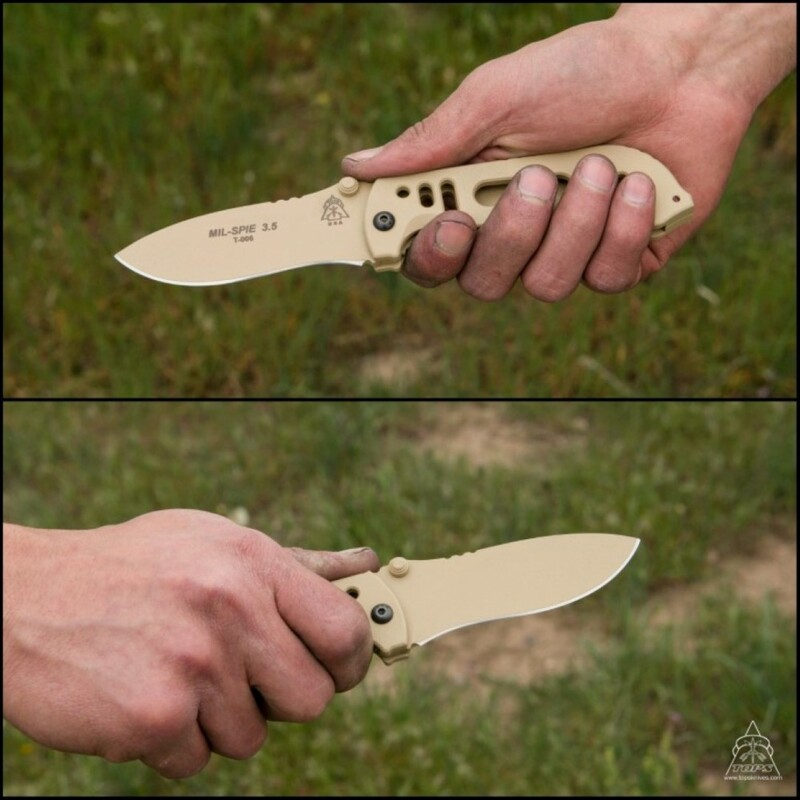 It is a combination of rugged good looks, lightweight steel, a secure grip, a great working blade, and a sturdy clip attachment. 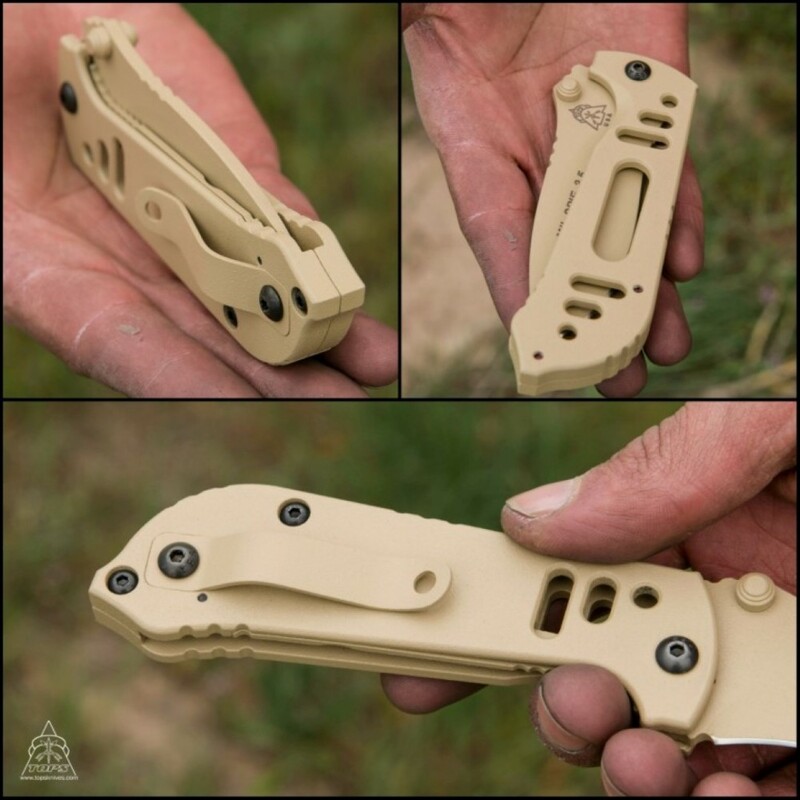 All in all, a positive carry for a wide variety of tasks. The name Mil-SPIE is an acronym that the DOD came up with several years ago. It stands for Military-Special Projects Individual Equipment, pronounced 'MIL SPY'. This was to enable Special Operation Forces within the Military to help develop, test, evaluate and acquire 'out of the ordinary' and 'outside of normal channels' items that they require. Now... Cause there ain't no tomorrow... Special OPS Trust TOPS!